It can be a complex and lengthy process to find a suitable tenant for your property, it is important to find a licensed agent that can successfully help let and manage your investment. Dickinson Bowden is a Licensed Member of The National Approved Letting Scheme. Whether it is a town centre flat, a terraced house or a country cottage we have a friendly and efficient team that will help you get your property ready to let as soon as possible. We can provide a number of different services, our two most common being a Full Management Service or Tenant Find, further details are explained below. It is important to get the rental value of a property right in order to attract potential tenants as quickly as possible. We would be very happy to have a look at your property, discuss any minor works you may wish to do and agree with you a suitable monthly rental figure. This price would be agreed based on the condition of your property, the additional space available, such as garden and garage, and the rental price achieved on other rental properties in the area. To market your home effectively we like to have a good selection of high quality photographs. We are happy to revisit your home as many times as necessary to ensure we present your property in the best possible light. As soon as we have the appropriate photographs we will prepare property details, window cards to be displayed in our two prominent office windows, and advertise your property on multiple websites including Rightmove, Zoopla, Prime Location and many others. We will also contact applicants that have registered with us who are looking for a home just like yours. Once the property has been advertised we will carry out viewings, these will always be accompanied by an experienced member of our team. These viewings will be arranged with permission from any existing tenants and we will always give you a call afterwards to let you know how it went and provide any feedback. 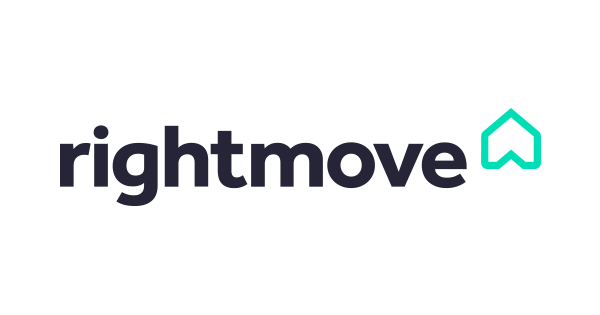 Finding the right tenants for your property is very important to us, we want to ensure that the people moving in to your home will look after it and enjoy being there. We work with an external referencing company called Rent4Sure who carry out a thorough reference check looking specifically at employment history, proof of address, qualification of income, search of local records, search for county court judgements and previous residential references. Once the references have confirmed a tenant is acceptable we will agree a move in date. Any soft furnishings that are left in the property must comply with the Furniture and Furnishing (Fire) (Safety) Regulations 1988. These regulations do not apply to curtains, carpets and antique furniture manufactured before 1950. If you have gas appliances within your property, it is recommended to fit a Carbon Monoxide alarm. It is always advisable to have fire extinguishers and a fire blanket available in the kitchen. If you have gas at the property it is a legal requirement that an annual Landlord's Gas Safety Certificate is carried out. We would recommend a boiler service is carried out at the same time. We will prepare all of the relevant paperwork for your tenants in preparation for them taking on the property. This will include the Assured Shorthold Tenancy Agreement, the Prescribed Information that accompanies the protection of the security deposit, a copy of the Energy Performance Certificate, gas safety certificate, portable appliance test certificate, buildings insurance and lease information if appropriate. Their security deposit will be secured with an independent company called The Tenants Deposit Solutions Scheme, both the tenants and yourself will receive a copy of the certificate. If you have signed up for our Full Management Service there will also be a thorough inventory and schedule of condition which will be given to the tenants to check once they arrive at the property. Depending on whether you would like us to carry out a Full Management service or just a Tenant Find the ongoing service that we provide will be different. If you have chosen to manage the property yourself then the ongoing management will be between yourself and your tenants. If however you would like us to look after your property and the tenants throughout their tenancy we will carry out visits to your property every three months to ensure that there are no ongoing problems and to check that it is being well cared for. You will be sent a report detailing the outcome of these visits. If there is anything that requires any attention we will arrange for a contractor to quote for this work, if you are happy to accept this quotation, we will arrange for all necessary works to be carried out. When the time comes for your tenants to move out of the property we will carry out a thorough ‘check out’ of the property, this includes ensuring the property is returned in the same state that it was handed over at the start of the tenancy, if there are any works that are to be carried out these will be arrange and where appropriate any dilapidations will be charged to the tenants. Final meter readings will be reported and the property will be prepared for the new tenants moving in. We our very thorough in our approach to looking after your property and you will be consulted with at appropriate stages throughout the tenancy, your home will be in safe hands.